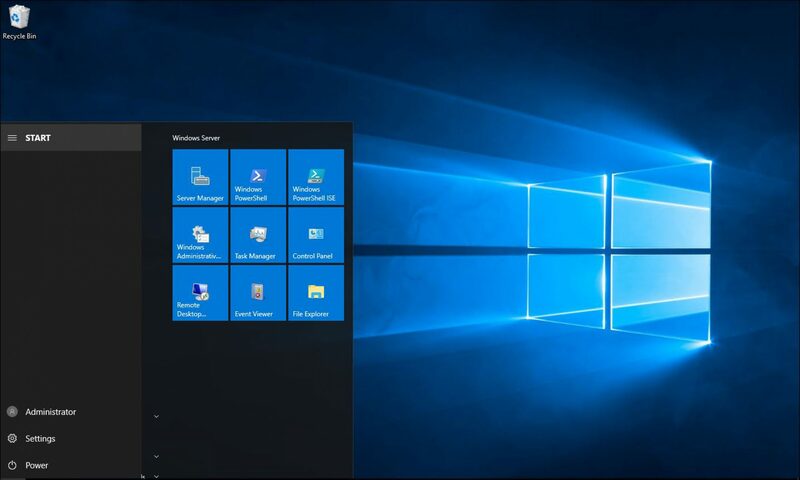 Answer: The Exchange control Panel also known as ECP is hosted on the CAS server and can be used by users to manage and configure their mail and voicemail options. ECP is also used by Exchange server administrators to create and edit mailboxes, groups and contacts. 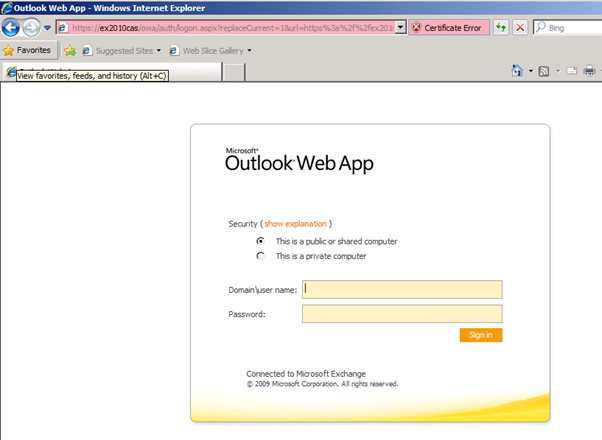 Before Exchange server 2010 SP1 the administrator had to have an active mailbox in order to use ECP however with the release of SP1 this is not necessary. After navigating to your ECP url, Type your Exchange admin account. 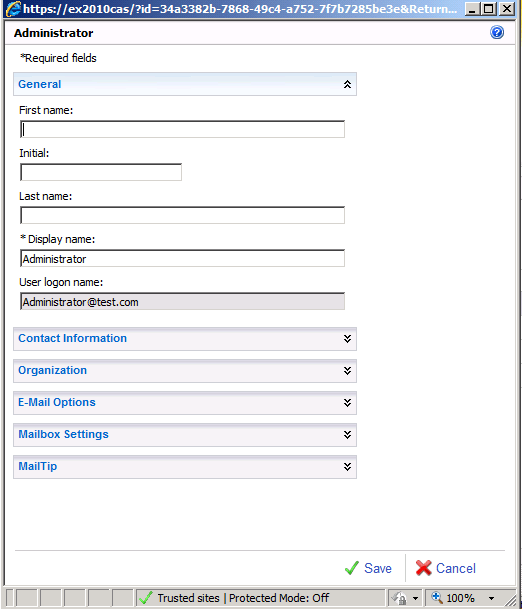 Once logged in, you will see all the option available to you as an administrator. 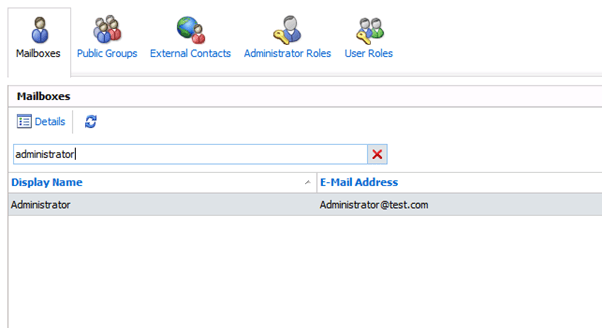 To manage a mailbox type the name of the user and click details to edit. Once clicked on edit you will see all the options.